Join our Midwifery internship in Tanzania and prepare for a career in midwifery. You’ll work directly with local doctors and midwives in the maternity department of a hospital or clinic. This is an opportunity to learn first-hand how they care for mothers, and observe as they help bring new lives into the world. You’ll gain valuable experience for your CV, giving you an extra edge. You’ll learn what it’s like to work in a hospital and interact with patients. Local staff will be on-hand to answer your questions and guide you through your work. During medical workshops, local doctors will equip you with practical skills like measuring blood sugar and blood pressure. 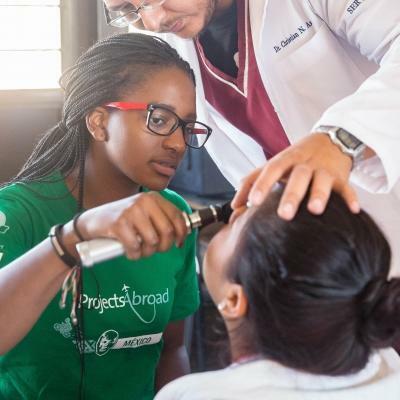 You’ll use these skills at outreaches, where you’ll help provide basic medical care to remote communities. In the process, you’ll get hands-on medical experience. This internship is based in either Arusha or Moshi, where you will stay with a host family. These are beautiful towns, surrounded by lush, green vegetation. With exciting safaris in wildlife reserves and bustling local markets, there’s plenty to do in your free time. We offer discounts for families and groups of friends travelling together. Call us on 09 889 0587 for more info. Looking to do more than one project? Call us on 09 889 0587 to see if we can offer a discount. Is this Midwifery internship in Tanzania right for me? If you’re looking for practical midwifery experience in a hospital, this internship is ideal for you. This is the chance to enhance your skills and knowledge, and boost your CV. It’s a great way to prepare for medical school applications or to gain confidence before graduating as a midwife. This internship is also ideal for learning about midwifery in a developing country. You’ll get a deeper insight into the challenges women face every day when giving birth. You don’t need any specific qualifications to join. Your role will be mainly observational and hospital staff will be there to supervise and guide you through your internship. This project runs all year round, so you’re welcome to join whenever it suits you. The minimum duration is two weeks but we recommend staying longer, for you to gain even more midwifery work experience while in Tanzania. This project is also ideally suited to professionals interested in using their skills to help, as well as university medical and healthcare elective students. As a professional, you can be sure we will match your training and expertise to the placement where you are needed most. With your support, we can make an even bigger impact on the local communities we work with. If you are an elective student, we will organise an elective placement where you can learn as much as possible. We want you gain the knowledge and skills that will begin to shape your professional career. 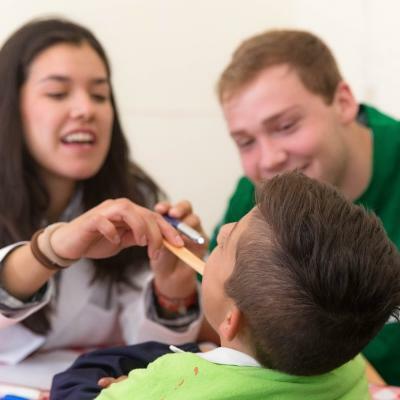 Read more about volunteering as a professional or taking a healthcare elective as a student. What will I do on the Midwifery internship in Tanzania? You’ll spend your days shadowing local doctors and midwives, getting to know the daily routine of staff in a maternity department. 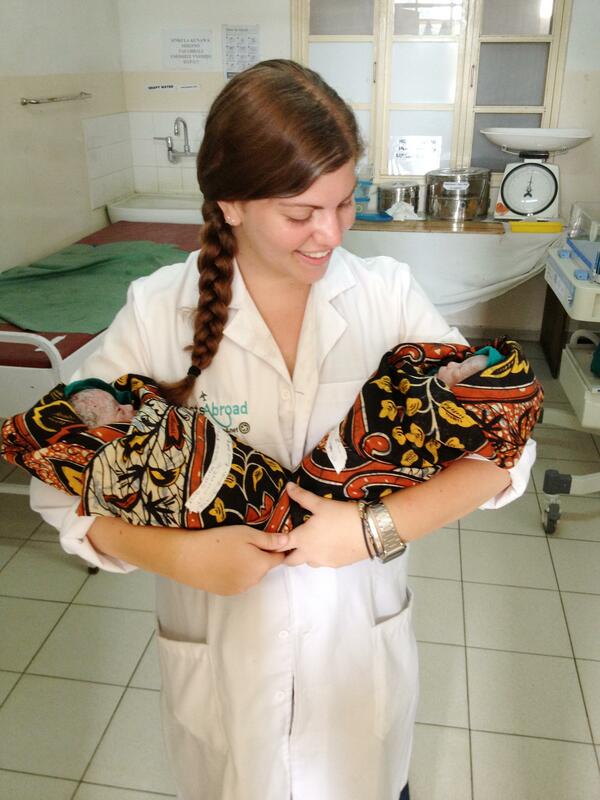 Through shadowing and observing, you’ll learn what it’s like to be a midwife in Tanzania. Local staff will also be available to answer all of your questions. They’ll guide you through your work and chat to you about different patients. The role of a midwife starts during pregnancy. You’ll sit in on consultations with expectant mothers, and see how local midwives give advice on nutrition and living healthily before their baby is born. You’ll also get to see how medical professionals give advice to expectant mothers during labour. You can watch as they teach mothers breathing techniques, reassure them about the birthing process, and talk them through possible medical complications. If you are studying medicine or midwifery, you will be allowed to observe births and cesarean sections. This is the chance to see the role midwives play in the birthing process. It’s a great way to learn first-hand about delivery and you’ll get to see the first moments of a newborn baby as it’s welcomed into the world. In Tanzania, only interns studying medicine or midwifery are permitted to observe births and cesarean sections. A midwife’s role doesn’t end after birth. You’ll also work with mothers after delivery to give them advice on postnatal care. You can help local midwives with assessing newborns and making sure they’re healthy. You’ll help with administering vaccinations and will talk to mothers about family planning and birth control. You’ll also chat to new mothers about how to care for their babies. For more hands-on experience, you’ll work in remote communities, providing basic medical screening. The communities where we run outreaches don’t have regular access to healthcare facilities, so you’ll help improve access to basic healthcare. Healthcare professionals will provide you with the training you need to help at outreaches. Then, you’ll go out into communities and measure things like blood pressure and blood sugar levels. If you’re interested in a specific department, feel free to contact us and we can help advise you. Where in Tanzania will I work? We have placements in hospitals in Arusha. These hospitals are also under-resourced and under-funded, so you’ll find facilities are basic. Arusha is an exciting mix of buzzing city life and peaceful nature. During your free time, you can sample tasty local food at restaurants, buy souvenirs at vibrant markets, or go on a safari in a wildlife reserve. 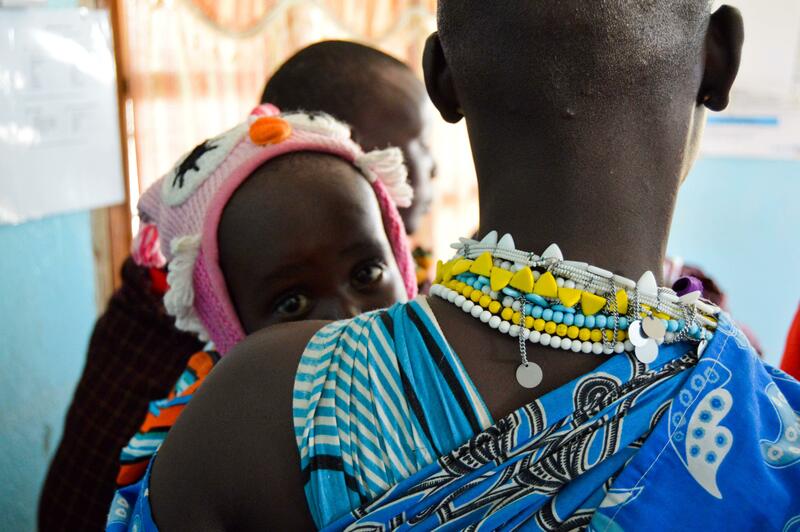 Alternatively, you can intern in a Maasai community hospital located near Arusha. You can join if you’re interning for a minimum of four weeks. You can only work in this hospital if you have midwifery experience. 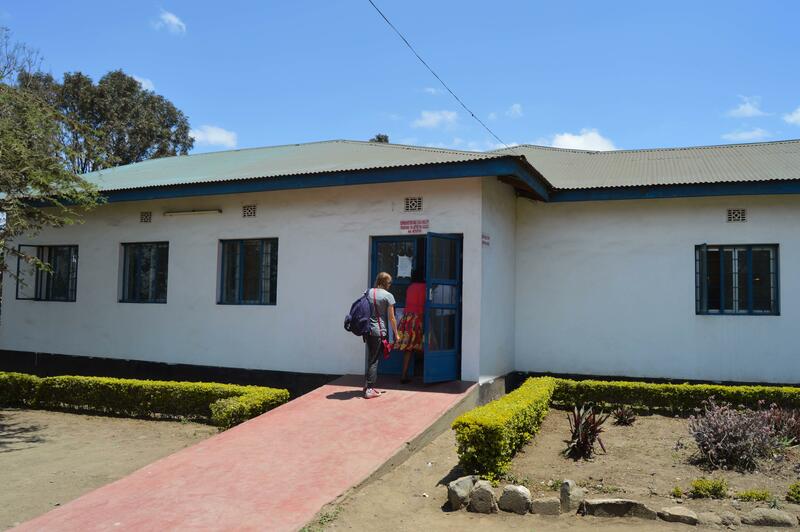 The hospital is typically busy and understaffed, so you won’t get as much guidance at this placement as you will at our placement in Moshi. You can work in the maternity department of a hospital in Moshi. This hospital is under-resourced and under-funded, so it won’t be as well equipped as hospitals in your home country. However, it’s a great opportunity for you to see the innovative ways staff cope with these problems. Moshi is a small town at the foot of Mount Kilimanjaro. Its communities are largely rural and buildings are rustic with dirt roads running between. It’s the perfect place to connect with nature. You can go hiking around the base of the highest mountain in Africa or see wildlife up close during a safari. When you arrive at your respective airport, a member of Projects Abroad staff will be there to meet you. You can find more detailed information on arrival airports, orientation, and visas on our Tanzania Arrival Procedures page. A typical work day will start at 8am and finish at 3pm. Your internship will run from Monday to Friday, with your weekends free. You’ll start your day working with expectant mothers, helping midwives prepare them for labour and delivery. You can learn about the equipment midwives use and the measures they take to assess patients. You’ll sit in on consultations and hear more about specific problems and complications. You can also spend some time cleaning and preparing instruments. If you’re a medical or midwifery student, you’ll get to observe births. In the afternoon, you might help midwives assess newborn babies. Learn about the different vaccinations and treatments they get, and find out how to make sure babies are healthy. Then, you can speak to new mothers about postnatal care. About once every two weeks, you’ll help at medical outreaches in remote communities. You’ll measure things like weight, height, blood pressure, and blood sugar. You can also weigh and measure infants to make sure they are healthy. You’ll have your evenings free, giving you the chance to explore this vibrant country. You can visit local markets and buy souvenirs or enjoy a tasty dinner with your host family. What are the aims and impact of this Midwifery internship? The aim of this project is to equip you with the skills and confidence to pursue a career in midwifery. You’ll exchange knowledge with local staff and get practical experience in this field. You can also help improve the quality of medical care at understaffed placements. By giving new mothers support and advice, you’ll help them maintain their own health and keep their babies healthy. During medical outreaches, you’ll help provide basic medical care to communities who don’t have regular access to healthcare facilities. You’ll also help with providing medical care to women and children while working in your placement hospital. Women’s healthcare is often overlooked in Tanzania, with many women not going to hospitals during pregnancy. You’ll help tackle this issue by supporting facilities that offer women medical care during this critical time. Help us work towards these goals, as you gain invaluable midwifery work experience in Tanzania. Our projects work towards clear long-term goals, with specific annual objectives. Every volunteer and intern we send to these projects helps us work towards these goals, no matter how long they spend on our projects. Every year we take a step back and look at how much progress we've made towards these goals. We put together a Global Impact Report, which documents our achievements. Find out more about the impact our global community of volunteers, interns and staff make, and read the latest report. I am in the process of applying to Midwifery programmes in the US. Projects Abroad allowed me to expand my experiences to Arusha, Tanzania, (...) and I am so grateful for the opportunity. Arriving in a foreign country and being unable to speak any of the native language is overwhelming. I was quickly greeted by a Projects Abroad staff member that was there to transport me to my host family about an hour away in the town. You'll stay with a host family in Arusha or Moshi. They will welcome you into their home, eager to share their customs and have you teach them about your own culture. We believe that this is the best way to immerse yourself in the culture of Tanzania and have a truly unique experience. We will always try to let you live alongside at least one other Projects Abroad volunteer or intern at the same host family. Your room will be modest, but comfortable, clean, and safe. 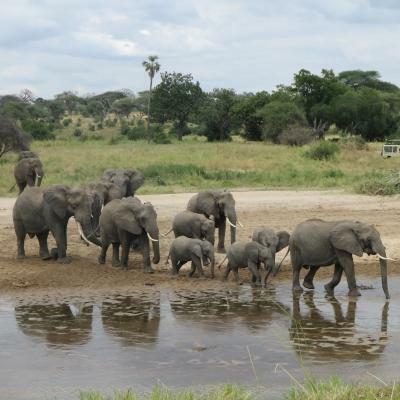 A trip to Tanzania is the chance to experience life in the heart of Africa. There’s plenty to see and do here during your free time on your project. A project in Tanzania wouldn’t be complete without a safari! 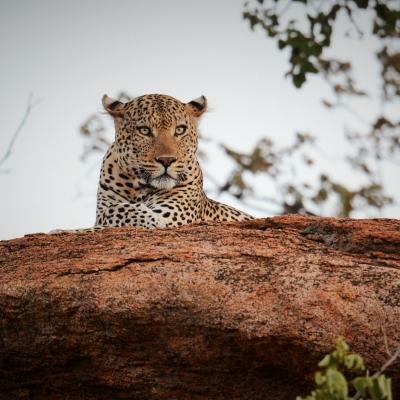 This is a chance to see the beautiful wildlife of this country, like elephants, rhinos, and lions. What’s more, Tanzania is home to the highest mountain in Africa, Mount Kilimanjaro. Hiking around the base through lush vegetation is a peaceful way to spend an afternoon. Browsing through a vibrant, local market is a must while you’re there. You can also spend time in a Maasai village, getting to know a completely different way of life. There will likely be many other volunteers in Tanzania with you. This means you have the option to explore the country independently or with a group of like-minded volunteers from different projects. Your safety and security is our prime concern. We have many procedures and systems to ensure you have the support you need to enjoy your trip with peace of mind. Our Projects Abroad staff are available 24 hours a day to help, and will be on-hand to make sure you settle in well at your accommodation and placement. If you encounter any problems, they will be available to help at any time. Glory took over as Tanzania Country Director in October 2012. She previously worked as Desk Officer and Programme Coordinator after joining Projects Abroad in June 2010. 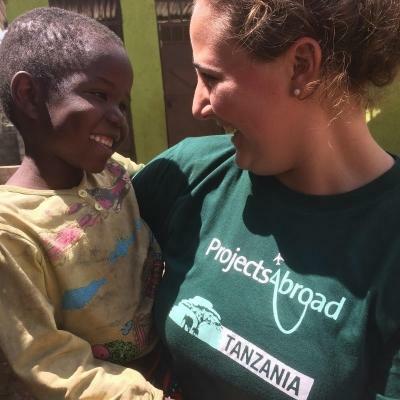 She enjoys introducing volunteers to Tanzania. Glory has previously spent a year in Germany as a volunteer and has a good command of the language. She is best known around the office for her professional attire, ever-changing hairdos, and love of chocolate. Moses joined the Projects Abroad team in March 2012 as a finance manager. He is in charge of the financial accounts for Tanzania. He lives in Arusha. In his spare time, he enjoys playing sports like football, basketball and volleyball. Jackie joined Projects Abroad in 2012 as a coordinator for the 2 Week Special programme. She now helps in many roles including that of Office Assistant, Social Manager and Volunteer Coordinator for the Human Rights Project. Jackie is the person to ask if you want to know where to shop or where to go in Arusha or Zanzibar. When she's not travelling to Nairobi where she spent her childhood, you can find Jackie singing at her local church. Angel was born and raised in Arusha. 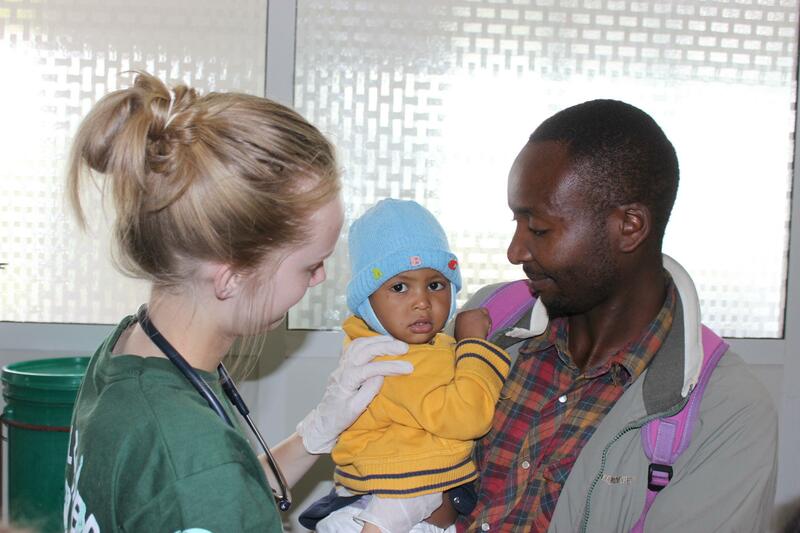 She joined the Projects Abroad Tanzania team in 2013 and is now the assistant medical coordinator. Angel loves cooking and reading in her spare time. 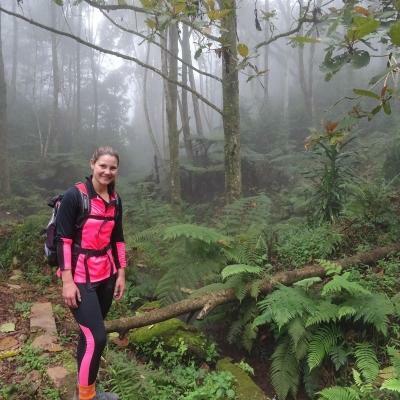 Florence joined the Projects Abroad team in February 2018 as a Medical Coordinator. He was born and raised in the Morogoro Region in Tanzania. He has a bachelor’s degree in sociology and social work from Mwenge Catholic University. In his spare time, he enjoys watching and playing sports, like football and volleyball. Irene joined Projects Abroad in January 2016. She is in charge of the Human Rights project. She has a Law degree and prior experience working with Community based organisations. She was most recently a legal officer at a firm. Robert first joined Projects Abroad in February 2011 as an Assistant Manager. He was born and raised in an area of Tanzania called Engikaret in Longido District. He holds a Bachelor degree in Geography & Environmental Studies from the University of Dar es Salaam. Before joining Projects Abroad he spent four months running an HIV/Aids research project in the Maasai community. He likes travelling, swimming, reading and playing volleyball. Emanuel joined Projects Abroad in August 2013. He is originally from Arusha in Tanzania and studied at St. Augustine University in Mtwara where he achieved a Bachelor of Arts degree in Education. Before becoming the Care & Teaching Coordinator, Emanuel was a Volunteer Coordinator. He enjoys his work as it gives him the opportunity to meet interesting people from different backgrounds. Emanuel loves reading books and is very interested in history. Mepu was born and raised in an area of Tanzania called Malambo. This area is in the heart of Maasai land in the Ngorongoro Serengeti ecosystem. He spent his childhood in Endulen Village in the Ngorongoro Conservation Area. Mepu joined Projects Abroad in November 2016 as a Volunteer Coordinator. He enjoys meeting and working with volunteers from around the world. In his free time, he loves reading novels, chatting on social media, and travelling. Michael joined Projects Abroad in January 2016 as a volunteer coordinator. He works closely with volunteers and the host families in Tanzania. He is also in charge of airport pick-ups, so he may very well be the first person you meet in Arusha. Michael has travelled throughout many countries in Africa and loves working with volunteers from all around the world. Constantine, or Regan as he is known, joined Projects Abroad in May 2010. He is usually the first Projects Abroad face you see at the airport. He also introduces volunteers to their host families. Regan used to work as a chef at a local hotel and is famous for his Regani pizza. His hobbies include watching football, cooking and karaoke. Elizabeth joined Projects Abroad in November 2012 as the Volunteer Coordinator for the Micro-finance Project. She previously worked as the Branch Manager at BRAC Foundation, a micro-finance institution. Elizabeth is interested in learning about different cultures, reading and travelling. Imane was born in France. After studying history and literature, she decided to travel to Africa. She is always interested in discovering something new and started working for Projects Abroad in July 2015 as a Volunteer Advisor. 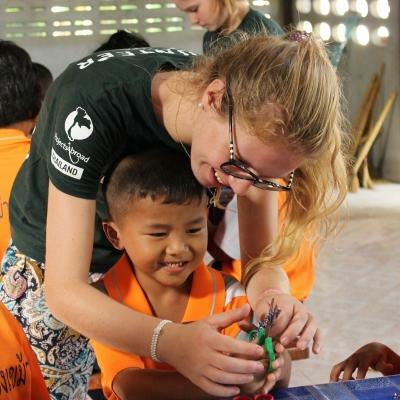 Gain midwifery work experience abroad interning in disadvantaged local communities.